While surfing the internet by using any Browser the brouser used to save our History, Cookies, Password etc. When we go to our friends home or to any cafe the same thing happens and no one wants to store thrie hisroty and passwords in their PC. If you are using Google CHrome then their is a way in which you can delete everything by using a mode. This mode is known as Incognito mode. Click the wrench(tool) icon on the browser toolbar. 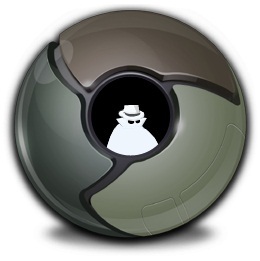 Select New incognito window. You After activating this mode, you surf the internet and after completing your work just clost the browser and all your stored data (cookies,password,history) will be automatically deleted. 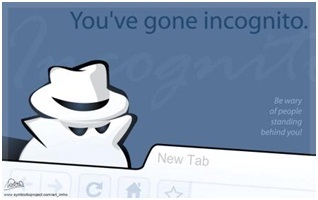 So from today tell your friends to keep Google Chrome and use this by activating Incognito mode. This is the one of the easiest method by which you can save your account information. Bitdefender 2015 All Security Products Crack is Here ! PHP Designer 8.1.2 Keygen is Here ! 7 Data Recovery 2.3.0 Enterprise Serial Keys are Here !